Better pic of this one! I have been receiving all kinds of compliments at work and when I told my co-worker I was in search of the skirts, she left work that day and found the turquoise and white skirt at her location for me! The skirts are regularly priced at $10, but they were on sale for $8! SCORE! 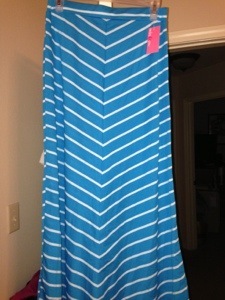 The pink and black skirt, I saw for the first time in ATL, but never could find my size. When I mentioned it to my Mama, this lady said she had seen it, but she was just intent on finding the gray and white one for me (not pictured). Well, while driving to Destin for our Anniversary trip, I stopped in a store and scored again! This is my latest Fashion Find! 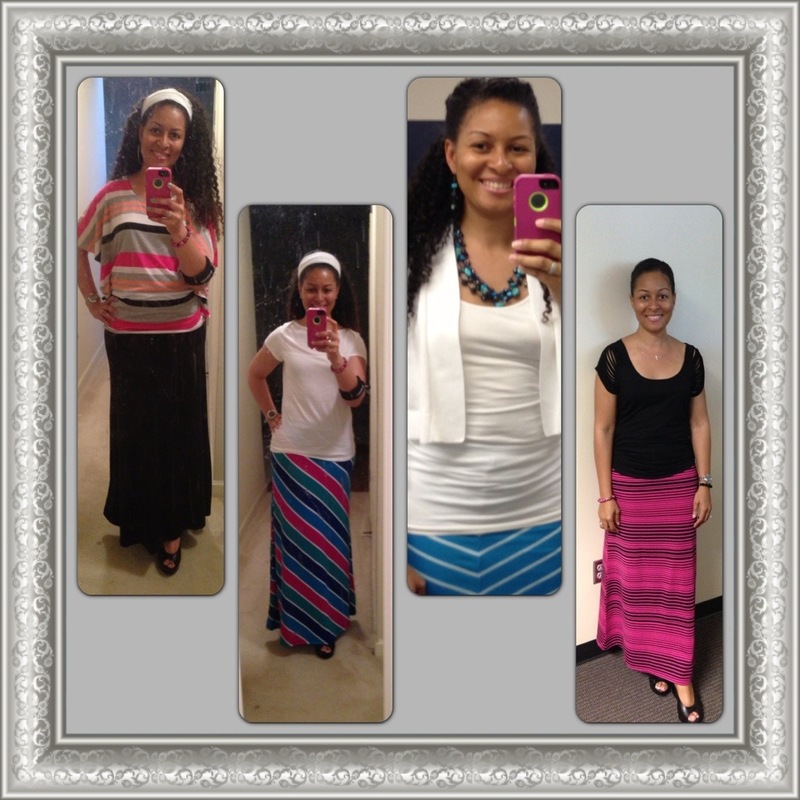 What’s your favorite attire to wear during the summer?